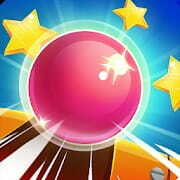 Manage the 3d ball in the game Steep and overcome all the difficulties of the path. The task of the game is to ride the maximum distance and not fall into the abyss. When you reach a certain number of bonuses, you can buy new shapes for the balls.